The TARDIS door opened and the five beings that made up its present ship’s complement came in, laughing and cheerful. The two humans and the Haolstromnian kicked off high heeled shoes and happily collapsed on the sofa in the corner of the room. The metallic artificial intelligence dog hovered beside them calculating how many calories the organic beings had consumed between them in the course of the meal they had enjoyed during their visit to the finest cabaret restaurant on the leisure planet of Fojoa IX. The Doctor, looking slim and handsome in a black Armani suit that made a change from his usual crumpled pinstripe, sauntered in after them, closing the door and going to the console. He checked various panels, noted that he had an email from Nine and Rose, wishing him a happy birthday. He had sent one to Nine earlier, with the same birthday wishes. They were neither of them ENTIRELY sure how old they were. It got confusing, but they did have a consensus about what day it was. They had considered meeting up for a double celebration, but it hadn’t proved practical, and all things considered the fine evening in the company of his friends had been a good birthday treat. They both kissed him on the cheek and he smiled back at them. Stella, too, came to him and kissed him goodnight. K9 said goodnight to The Doctor and hovered after Wyn and Jamie, his mistresses. The Doctor smiled contentedly as he put the TARDIS into a slow orbit above Fojoa IX, a very pretty planet from space, pink, pale yellow and white, like a big boiled sweet. Then he turned down the overhead lights and patted the ceramic framework of the console. “Goodnight,” he whispered and he thought the green glow of the Time Rotor had changed slightly in reply to him. He knew his friends teased him about talking to the TARDIS, certainly about patting and stroking parts of it, which tended to lead to unrepeatable adult jokes about his relationship with it. But they didn’t understand. They didn’t know that the TARDIS was more than just a machine. It was alive, and it had a heart and a soul just like any organic being. Yes, the TARDIS had a heart. Not, to be sure, a flesh and blood heart like the organic beings had, but a source of power, the Eye of Harmony. It had a lifeblood of a kind; the time vortex that powered the engine, that was seen by the organics only as the rising and falling of the Time Rotor, was the beat of its heart. The TARDIS had a soul. That was even harder to locate than the heart, just as it was in organic beings. It soul didn’t appear on any blueprint or list of components. Its soul wasn’t fitted and tested by any engineer in the depot on Gallifrey where it had been partially grown from semi-organic crystals and partially built by skilled temporal mechanics. But it had a soul. It had a memory, and a consciousness. It remembered becoming self-aware – its birth as it were – long, long ago in that depot on Gallifrey where the Type 40 capsules were first given their heart, their fraction of the Eye of Harmony that powered them. Three hundred and five were commissioned. They were intended as executive vessels, to be used by the Gallifreyan Diplomatic Corps on their missions offworld, but only a handful were ever used for that purpose. Just after that Gallifrey had gone through one of those periods of insularity when it recalled its ambassadors and cultural attaches and kept a remote watch on the universe, noting the spread of corruption and oppression but doing nothing to stop it. The Type 40s were mothballed for centuries before a new era of more open Gallifreyan government decreed that the now obsolete models might be used as training TARDISes, to be used by the students of the great Time Lord academies who would learn about the universe first hand on field trips. That was when the TARDIS first knew the young student Time Lord who would one day be known as The Doctor. Its semi-mechanical, semi-organic, semi-sentient memory was filled with something like nostalgia as it recalled the day when it was bonded with him through the imprimatur. The young Time Lord put his hands on the console, watched by his tutor, Professor Azmael, and his telepathic nerves reached out and joined with the semi-telepathic TARDIS ‘mind’. From then on, they were symbiotically linked, Time Lord and TARDIS. It had felt his excitement as he contemplated the freedom that ownership of a TARDIS gave to him. It had tried to convey to him how much it longed to travel among the stars with him at the drive control. From then on, the TARDIS had been aware of something else, too. She was FEMALE. Not that gender had any real meaning for a machine, even a partially organic one. But it had felt that the one thing the young Time Lord needed most was a mother and as well as being a home and a form of transport, it became a surrogate mother to him, caring for him, sharing his joys and his sorrows, the frustrations of a teenager trying to find his own place in the universe. Most of the time he had been happy in those early days. The young Time Lord had made friends all over the universe. Some of them travelled with him and the TARDIS had been happy to know she provided a place where young people had fun together as they travelled in the vortex of time and space. The young Time Lord had had his share of love interests as any young man did. He made enemies, because even at an early age he knew right from wrong and set out to make the wrongs right. And that earned him the enmity of those who didn’t want them to be righted. He learnt from his experiences, including the times when his hearts were broken by love interests that didn’t blossom. He enjoyed his life as a space and time travelling wanderer, exploring new galaxies and meeting new people from unknown cultures. And his TARDIS had been content to look after him and all those who travelled with him while he lived and learnt and grew through his experiences. Then he had gone home to Gallifrey as she always knew he would. He went home as a man, not a boy, a Time Lord who was ready to take his place in Time Lord society. He didn’t travel any more. He didn’t need his TARDIS. She went back to the depot and was put into low power mode. 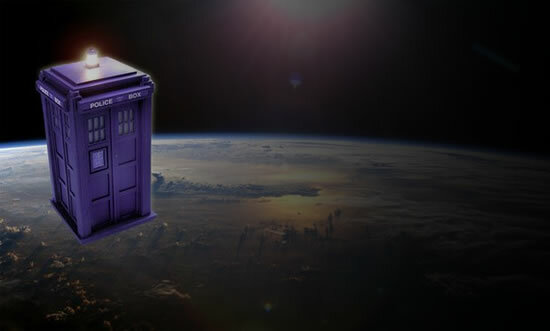 The TARDIS detected the presence of another ship in orbit around the planet. It was a Fojoan freight ship, posing no threat to the TARDIS and its crew or the planet below. It noted the presence of the freighter in its log before turning again to that bitter-sweet memory. She was a machine, albeit one with organic components that had been grown, not built. A machine was not meant to have feelings. It was not meant to miss its Time Lord. But she DID miss him. She missed him for decades, for centuries. The freighter seemed to be matching their orbit around the planet. The TARDIS noted that in the log, too. One day, her Time Lord had come to the depot with the registration papers and claimed his old TARDIS. He was offered a new model with excitingly advanced features, but he insisted on taking back the one he had trained in as a student Time Lord. No longer a student. No longer a young Time Lord. His youth was long gone. He was older, wiser, sadder in many ways, he had lived a full life. He had been a husband and a father. He still was the latter, though his child had a life of his own and didn’t need him now. He had achieved all the ambitions his oldest friend knew he had when he was young. And yet he still had a whole Time Lord life stretched before him and he didn’t know what else he was to do with it. The only thing that still remained was the burning desire to explore, to spread his wings, to leave Gallifrey and travel again. The TARDIS was happy to assist him in that. For a blissful time it was just the two of them again. The TARDIS and her Time Lord. Now she was less his surrogate mother, more his closest friend. A friend who loved and cared for him, who tried to ease his burden. He never realised that the reason he always felt the burdens less when he was in the TARDIS was that she radiated calm, warm, loving vibes that enveloped him every time he stepped aboard. But his journeys through space and time didn’t seem to be contented this time. It had become a stale experience. He had seen it all, done it all. Nothing surprised him any more. Eventually he set his course back to Gallifrey, and the TARDIS grieved as he parted from her. She thought she would never see him again. The freighter now seemed to be attempting to scan the TARDIS. The TARDIS automatically repelled the attempt. It recorded the freighter’s registration code and sent a signal to traffic control on Fojoa IX requesting information about the suspicious ship. The Type 40s had all been recalled by now and were going to be decommissioned. The TARDIS never expected to travel with her Time Lord again. But she did. This time he didn’t bring any registration papers. He came to the depot late at night when only one night guard was on duty and paid him in gold and diamonds to keep quiet. He came with a device that made the TARDIS invisible to the security officers who manned the Transduction Barrier. They slipped away unnoticed. The Time Lord who now called himself The Doctor brought his granddaughter with him. A little girl, barely able to see over the edge of the console, but a bright child who took after him for insatiable curiosity. The two of them fled from Gallifrey. 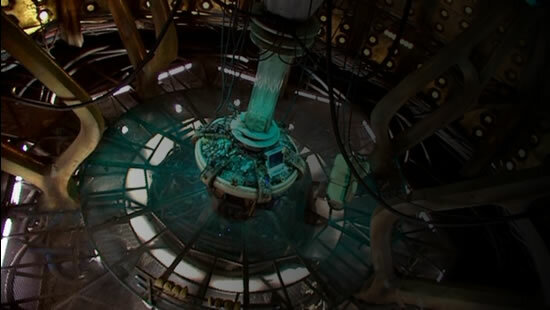 The Doctor turned off and removed those components of the TARDIS that maintained a link to Gallifrey. He was running away from his home and his people. The TARDIS was certainly not interested in politics. She didn’t know what he had done, or why. She didn’t know what had happened to make her Time Lord, The Doctor, do something so desperate, to leave Gallifrey without permission and become a Renegade, an exile who would be deemed a criminal. But she was HIS TARDIS and she trusted him. She loved him and she loved his little girl who grew up as they travelled together in those next few years. She saw that The Doctor was a different man now. He was even more sad than before. And worse, he was bitter and angry and disappointed. Only the presence of the little girl, Susan, stopped him from what even the TARDIS, a machine mind, recognised as madness. For her sake he held onto himself for a long while. But the sadness and the bitterness took its toll on him. The TARDIS saw how he aged so much more than he should have aged. She saw the times when his mind drifted and he struggled to bring it back. She saw the times when his mind was a dark void and she saw how frightened he was when he came back to himself. He was afraid that he might lose himself completely one day. He was scared about what would happen to Susan if that happened. How would she cope with a senile grandfather and a ship she didn’t know how to pilot on her own? The TARDIS knew he had almost given up. He had contemplated sending a sub-space signal telling them where he was, giving himself up and facing his punishment just so long as Susan was looked after. The computer at Ground Control at the Fojoa IX spaceport responded with a message that identified the freighter as one stolen some months ago, thought to be in the hands of space pirates. But it was only an automatic response. Nobody had alerted the authorities. The TARDIS took control of the situation and alerted them itself. The TARDIS had taken control of the situation then, too. It landed on a safe planet, one she had visited with her Time Lord often in his younger days. They stayed there for a little while. He thought she was broken, but she wasn’t. She had brought him to a place where he could rest and recover himself and where Susan wouldn’t have to worry about him so much. And for a little while they had all been content to live as exiles on this planet called Earth. Susan had gone to school like an Earth teenager and made a few friends, though not so many as an ordinary Earth girl might. She had got to like the music of the time. She even looked at boys thoughtfully, though there was no question of her becoming romantically attached to any of them. Her grandfather insisted that she take care not to become too close to anyone, lest their secret be discovered. The Doctor had pottered about, tinkering with non-essential parts of the TARDIS or inventing new devices. He took up a strange Earth custom of smoking a pipe. The TARDIS came to know him by the strange scent of that smoke. He had been happy enough except for the ever present concern about being aliens on a planet that knew nothing about extra-terrestrial life and the occasional melancholy moment when he missed Gallifrey. The TARDIS didn’t miss Gallifrey. For her that was a lonely, cold place. She liked being away with him, anywhere. His mind was calmer now. He seemed to come back slowly from the bitter place where he so often lost himself completely. But while he had been there he had got old, so very old. Yes, he felt old. The TARDIS felt old with him. Her circuits groaned with entropy. But he was tired often, his body feeling the cold of winter, the London smog irritating his chest, his back aching, his legs not carrying him as well as they should. And he forgot things, though he did not panic as much as he used to. He knew he could find himself again when his mind wandered. Then they had moved on again, wanderers in the fourth dimension once more. They had new friends with them, bringing their own strengths and experiences to each new day of adventure. The Doctor learnt not to be so bitter and selfish and a little of the man he used to be shone through. The TARDIS heard his laughter ring out again, heard his enthusiasm for the thrill of the chase, for facing new dangers and new experiences. But he was still old. She knew he would soon be ready for his first regeneration. He knew he was. He worried about how Susan would deal with it. The TARDIS worried how her Time Lord, so far from home, from those who were experienced in these things and could help him, would deal with it. As it happened, Susan wasn’t there when he regenerated. She had left him a little while before then. The Doctor and the TARDIS both missed her and both were glad when Vicki came along and filled the gap left by her departure. They had both been sad when she, too, moved on. But others came, other surrogate daughters and strong young men who were a support to The Doctor in times of trouble, enthusiastic young men with something of The Doctor’s youthful vigour in them, a reminder of what he once was. Then it had happened. After a terrible ordeal his body had finally succumbed. He had regenerated within the TARDIS. She had felt his pain. She had hurt with him. She had tried to relieve his suffering. She had given her strength to him. And he had made it. He regenerated into a younger man. Not VERY young. He would never be that callow youth again. But a man of experience with a boyish yearning for adventure and a wanderlust that the TARDIS satisfied. For a while it had almost been like old times. The Doctor and his friends seeking adventure just for the sake of it, for the thrill of the chase, the rush of excitement. Those friends came and went, but The Doctor was rarely alone. The TARDIS was rarely silent. Laughter filled it often. The Doctor sometimes pretended to grumble about his companions but the TARDIS knew his secret. He NEVER would have been happy without them. Then one day the TARDIS found itself under an irresistible force that pulled it home across the galaxy to Gallifrey. It tried to resist. The Doctor tried to resist. Because both knew this was no happy homecoming. The Doctor was made to pay for his ‘crime’ against the Time Lords. They cruelly snatched his friends away from him. The TARDIS mourned as deeply as him that they were gone. They killed that old/young incarnation with his boundless energy and zeal. The body they allowed him to regenerate into was robbed of its freedom. He was exiled to Earth. They let him have his TARDIS. She was relieved not to be parted from him. But she was hurting as much as he was. She had been disabled by them to prevent him fleeing his punishment. But they were together. They bore the painful time of banishment together, not always patiently, but with resignation. And when, at last, the Time Lords forgave him they travelled to the stars again. It was different, though. The Doctor had come to call Earth ‘home’. Whenever he travelled, he came back there again. He had become attached to his one time prison and the people there. So was the TARDIS, for that matter. It saw that they were good people who deserved The Doctor’s help in dealing with the problems they faced. For a while, both found satisfaction in that. There was no response from the authorities on Fojoa IX. The TARDIS considered what to do. It noted the presence of the pirate ship matching its orbit still. It considered alerting The Doctor. It reached out to find him. He was in the Coister Room spending an hour in deep, quiet meditation before he would go to his ordinary bed and sleep. She decided no to disturb him and sent a reminder to the Fojoa IX authorities that they had an urgent matter to attend to. Yes, The Doctor had become fond of Earth. He called it ‘home’ and hardly thought of Gallifrey, or when the Time Lords interfered with his freedom, he resented it with an echo of his old bitterness towards his birth planet. The TARDIS had taken him ‘home’ to Earth when that third body had been mortally wounded. She had been his grieving mother figure, carrying him away from the field of battle and taking him where he felt he needed to be, with the Humans who loved and cared for him. Though he was not in the TARDIS when it happened, the symbiotic connection between them meant that she had been aware of his body dying and a new one being reborn. And she knew that the rebirth heralded other changes for him and for her. And it did. The new body had a new mood. 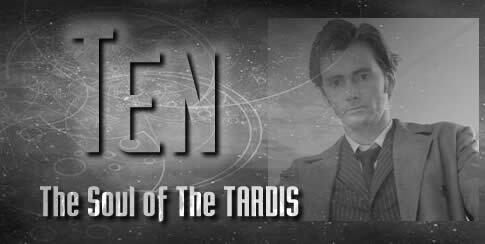 He resented the pull of Earth as much as the pull of Gallifrey. He reminded himself and his friends that he was not Human. He reminded himself that he was not going to do the will of Gallifrey willingly and without resenting its intrusion upon his freedom. That freedom he valued above all else. And the TARDIS, his one faithful and constant companion as others came and went, gave him that freedom. They slipped away from Earth, returning now only as a visitor. When they WERE, again, compelled to return to Gallifrey, it was far from voluntarily, but they went. The Doctor fulfilled his duty to Gallifrey and to the Time Lords, and he left again. The TARDIS noticed a change in the situation. There was another ship coming into orbit. But it wasn’t a police one coming to arrest the pirates. It looked, rather, like it was coming to rendezvous with it. The TARDIS made a note in its log of the new ship’s registration code. That was the pattern over the centuries for the next four of his incarnations, some of which were born in the bosom of the TARDIS, he returning there in extremis after being hurt in the course of some brave action or other. He went to the aid of his adopted home, Earth, when it was in need of him. He answered the call of Gallifrey and, it had to be said, came to resent that call a little less, so long as Gallifrey did not try to curtail his freedom. The TARDIS sent a third message to the authorities of Fojoa IX. If a machine mind could be frustrated and annoyed, this one WAS. She knew that the authorities on the planet SHOULD have been doing something about this. But all she received was an automated reply from the computer in the Fojoan Police Headquarters. The handsome Eighth incarnation of her Time Lord was, more than any before, a man of divided loyalties and mixed passions. He was the first since his youth to admit that he was not full-blooded Gallifreyan but was Human on his mother’s side. Earth really WAS his home in a real way, even though he was born on Gallifrey. He was a man who was easy to love. He laughed a lot. The TARDIS felt his warmth and gave back love to him. He was kind and gentle to those who needed his help, hard and unflinching towards their oppressors. He found satisfaction in righting the wrongs of the universe just as he always did, and only occasionally did he feel tired and lonely and wondered if he dared risk his hearts on a deeper relationship than mere friendship. But such an opportunity had not arisen and he subsumed his passions instead to that fight against evil, even if, sometimes, it was an endless, Sisyphean task that would be his undoing. Then something happened that changed everything. The TARDIS and her Time Lord both felt the call to Gallifrey more urgently than ever before. Gallifrey was under threat. There had been Time Wars before. They had fought before for mastery over the fifth dimension with beings that wanted to use it to destroy and to oppress. But this time it was worse. This time those ranging against Gallifrey were more formidable than ever. This time the few races capable of standing as Gallifrey’s allies were unable to help. This time she stood alone against the most terrible enemy The Doctor knew. The one he wished he never had to face again, but had done so more often than any other. If Daleks controlled the Matrix of Time, then whole civilisations would fall. Whole civilisations would never be. The Daleks would prevent then from being, or they would let them be only as slaves. More than Gallifrey was at stake, and this time the Time Lords could not sit idly by and watch. This time they had to fight for the whole of the universe. So they recalled all of their most experienced sons and daughters, those who had travelled beyond their own solar system; explorers, adventurers, the bounty hunters who tracked the Renegades, even the criminals who had been banished. And even most of THEM still felt enough of a tie to home to answer the call. Above all, they called The Doctor. The one they had once called Renegade, the one they had once called criminal, the one they had condemned. NOW, they needed him because he was the one who knew most about the Daleks, the one who had defeated them every time he had faced them before. He returned willingly, his hearts full of patriotic fervour. The TARDIS had known he could not refuse. She had proudly carried him home. She had proudly carried him as he became a warrior for Gallifrey and fought on every front as the enemy drew closer to their final victory over the Time Lords. The day the Dalek Emperor took control of the Cruciform was the day that froze The Doctor’s hearts. The day he knew that, this time, they might lose. The Cruciform was the name they gave to the solar system that Gallifrey was a part of. So called because of the pattern the six planets formed when their orbits were plotted on a chart. Demos, Gallifrey and the outer frozen giant, Kasterborus all had a synchronous orbit, appearing to be in a straight line radiating out from the sun’s hub on an invisible spoke. The mathematics of those three orbits were a moment’s calculation for a computer as powerful as the TARDIS, or a session in astronomy class for a student Time Lord. The unlikelihood of such orbits were taken as proof of a higher Creator of the universe in the philosophy classes of the Academies. The TARDIS didn’t worry about philosophy as long as the mathematics was correct. Karn and Polafrey’s orbits formed the lobsided ‘arms’ of the cruciform and the erratic Fibster fitted in there more or less. And for millennia no other race had dared to try to invade the Cruciform, or if they did, such as when the Sontarans had briefly taken Gallifrey, they were soon repelled. But now the Daleks came. They came in numbers almost impossible to count. They came with a power that made Gallifrey quail. And they had almost won. The Time Lords had held back one last gambit, one last secret weapon - The Doctor and his TARDIS with their lifetime of experience, and a piece of Time Lord technology that The Doctor could use as very last resort. He had failed. The Daleks were destroyed, but Gallifrey, the whole system, the Cruciform itself, failed, too. The TARDIS had been swept before the holocaust. The Doctor had screamed in agony as he was terribly, fatally wounded. The TARDIS screamed with him. She felt, as he did, the death of Gallifrey. She felt the souls of his kin, his people, crying out in agonised death. She, with him, felt the terrible silence afterwards, and knew that they were alone. He was the last Time Lord. She was the last TARDIS. They were the only survivors of the last great Time War. They grieved, both of them, for their birthplace. She grieved for him, her Time Lord. He was so badly injured he should have regenerated. But he was so grief-stricken he was holding back, stopping the process from beginning. She was afraid he would simply die instead. But with his last ounce of strength he had put the TARDIS into orbit around the black hole that the remnants of a solar system containing the greatest civilisation in the galaxy was being pulled into. Then he put himself into stasis, his regeneration incomplete. The TARDIS was angry. She scanned the two ships. She scanned the cargo being transferred from one ship to the other. Weapons! Her machine mind understood that they were weapons meant to be used for evil purposes, and she was aware that nothing was being done to stop it. The Doctor grieved. The TARDIS grieved as time passed slowly for both of them. The TARDIS ‘slept’ in low power mode, its machine mind as sad as the dying mind of her Time Lord. Then the TARDIS picked up a very faint signal. A jarring note that roused her from her machine slumber. She saw that the trouble was on Earth. She knew that her Time Lord would care that his other home needed him. She brought him out of stasis and re-initiated his regeneration, forcing his stupefied mind to remember why he had to live, despite his sorrow. She helped him to complete this most traumatic rebirth. And when he finally emerged, a new man with new burdens on his shoulders as well as the old, he saw the mission before him and accepted the inevitable. Finally, The TARDIS noted, something was happening down on the planet. She intercepted and noted the message from the police headquarters to the two ships ordering them to surrender. She saw the police ship enter orbit and take the cargo ship into custody with a powerful tractor beam. But the other ship was powering up its hyperdrive engines ready to get away, and the police ship couldn’t hold them both. The TARDIS powered up her own engines and extended her gravity field out beyond the blue box to envelop the pirate ship and hold it firmly. The hyperdrive engines would be whining in protest as the pilots of the ship tried to escape. The TARDIS didn’t know what was being said by the crew, but she did note the strain on the hull and the engines and she knew it wouldn’t be long until they had to give in or risk breaking up. Yes, this Ninth Incarnation of her Time Lord had been a man with burdens almost too great to carry. But they had been eased by the one thing that he had not allowed himself to feel since the youth of his first incarnation. Love. For a while, a too short while in the time span of a Time Lord or a Time Lord’s TARDIS watching over him, love and laughter had rung out around the TARDIS again, easing the pain and loss that still remained. And she had shared her Time Lord’s hopes for the future. But those hopes were cruelly dashed, by the same enemy that had already wounded his soul and hers so deeply. The Daleks returned to threaten his other home planet, Earth, with the same doom Gallifrey had faced. The TARDIS had almost given her own heart and soul so that her Time Lord could defeat them once more. But it has cost him dearly. The machine heart of the TARDIS had cried in agony with him as that burdened but love-warmed incarnation burned until his all too brief candle was snuffed out. She had tried to ease his pain as he went through another traumatic regeneration. She felt as if she was dying with him before his new incarnation rose from the ashes of that too short life. The pain had been cathartic for them both, though, and this new version of her Time Lord was less troubled. He had accepted that he was fated to be the last Time Lord. He had accepted that Gallifrey lived on only in his memory and the machine memory of his TARDIS, and he carried on the life he had always led, as a wanderer in time and space, as a Lonely God. Lonely but for the woman who loved him, and who he loved, though he never found the words to tell her. They faced the hardships and the adventures, the storms and the sunshine hand in hand. The TARDIS had once again had reason to hope for her Time Lord’s future. But then fate turned a cruel face on them. Her Time Lord lost the woman he loved. In the Console room he had cried bitter tears of grief and the TARDIS had tried to reach out to him and remind him that she was always there for him, but he had been too lost in his grief to feel that comfort. The pirate ship’s engines seized up under the strain. The ship was dead in space with barely life support. The pirates surrendered. They had no choice. The TARDIS withdrew her gravity field. She accepted the message of thanks from the police ship as it completed its work. She logged the message with the other communications. She might have had a machine mind, but she felt something like the same satisfaction that her Time Lord had when he made things right that had been wrong. He had overcome the loss and gone on to have other adventures, to find compensations for yet another grief in his life. He had learnt from that experience and had not waited the next time he had a chance to tell a woman he loved her. The TARDIS had spent another long time in low power mode when he had given up his wandering life for a while and spent a Human lifetime as a citizen of Forêt, becoming once again a husband, father and grandfather, satisfying that ache for close companionship. The TARDIS had not minded so much. She had known he would return eventually and be her Time Lord again. And now he travelled with new friends and he was as happy as she remembered him ever being. After a dark time he seemed to be living in the light once again. And the TARDIS rejoiced in that. In the quiet of the night, the TARDIS reached out to feel those friends who slept within her walls. She looked at them as they slept. She found the girl first, a lot like Susan, as so many of them were. Her Time Lord was always happiest when there was a youngster around who filled that gap in his life. Stella was precious to him, and to the TARDIS. She had been born here, on board the TARDIS – born in a way that was different to how organic beings were usually born, but in a way which the TARDIS fully understood. Now she was nearly grown up, but still a little girl at heart, and The Doctor loved her. She had caught a cold on the planet they had just visited. She sneezed and sniffled as she turned over in her bed. The TARDIS adjusted the environment in her room, injecting into the air around her a cold cure that would kill the germs and give her a pleasant, untroubled rest. The other two females were not asleep. They had been making love, slowly and leisurely and now they lay, cuddled up together in their bed. The TARDIS knew about love. She knew about making love. From time to time it happened within her rooms. This was a different kind of love than it had known before, but she recognised it anyway. It gave her a feeling of contentment to feel these people were in love within her dimensionally relative walls. Neither noticed the movement of air near their faces as if they had been softly kissed by something they couldn’t see or hear or feel. But they sighed and turned to kiss each other before they slept. The TARDIS found the non-organic member of the crew on the floor of the same room, the mechanical dog called K9. It wasn’t asleep. Mechanical dogs and TARDISes don’t sleep. But both have a low power mode. K9 was in that mode. He was on guard beside his mistresses and he was content. The TARDIS fully understood that feeling. She found her Time Lord, The Doctor, in his own room where he had gone after his meditation. A room she had created for him, a room that resembled in every detail the bedroom he slept in as a boy, growing up in the Gallifreyan countryside, before she had come to know him. Even after more than eight hundred years he still felt comfortable in that bedroom. He felt safe. He slept safely. And the TARDIS wanted him to feel safe. She looked at him as he slept. Of all the beings in the universe he was the one she loved. Her Time Lord. She looked at his dreams as he slept. She saw that they were troubled ones. He was letting himself think of that grievous time when they both lost so much. He often did, even though he was happy. It was too big a thing for him not to think of it sometimes. But he didn’t need to dream of it. The TARDIS reached into his mind. The symbiotic link they shared allowed her to do that when he was asleep, if no other time. She touched his dreams and like a soap bubble they evaporated, leaving only the quicksilver feel of her touching him. He smiled in his sleep as the TARDIS found memories of happy times instead, times when love had lightened his burden even briefly. He sighed happily as the face of one of his loves filled his thoughts. He DID feel the brief whisp of the air moving by his face. It felt like a kiss. In his sleep he whispered a name. The TARDIS, even if anyone had thought to ask her, would never have told which name it was. All was calm and good within and without the TARDIS. She happily put herself into low power mode until morning. The Doctor woke before anyone else on the TARDIS. He showered and dressed and went to the console room, knowing that his friends, when they woke, would think he had been there all night. Sometimes he was. But last night had been one of the rare times when he slept. He smiled and sighed as he remembered the gentle dreams that had warmed his sleep. “Good morning, old girl,” he said to the TARDIS as he put on the overhead lights and looked to make sure they were still in a safe orbit around the boiled sweet planet. He noticed that there were some notes in the log that he had not put in. “What went on here overnight?” The Doctor asked as he studied those entries and noted that they were written in binary code, the language of the TARDIS, and all computers the universe over. He translated them in his head and partly understood the story. The time rotor glowed a brighter green momentarily. The Doctor smiled. “Yes, you’re right, old girl. We’re fine as we are. We don’t need those sort of fripperies.” He set their new course and saw the TARDIS enter the time vortex then he went off to the kitchen to make breakfast for his friends. The time rotor glowed again several times. The TARDIS understood him well enough. It always HAD.